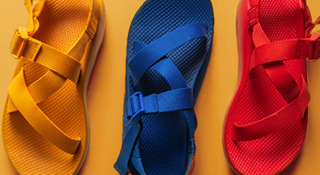 Well-loved sandals can accumulate dirt and debris. 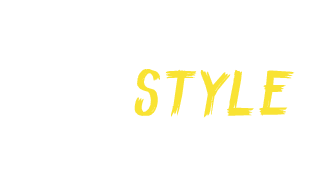 Below are tips for cleaning your favorite pair. 1. 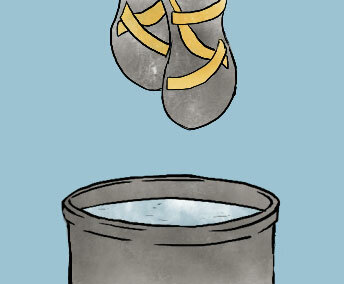 Wash your sandals with a load of laundry on a gentle cycle using mild detergent or baking soda with cold water. 2. Do not use bleach or use other corrosive chemical cleaners. 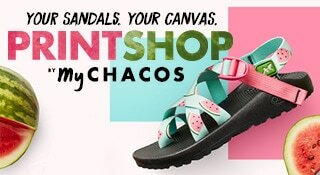 These can damage the straps. 3. Do not wash your sandals in the dish washer. High heat can damage the adhesive cementing the outsoles. 4. Air dry. Do not place sandals in the dryer or near a heat source. High heat can damage the adhesive cementing the outsoles. 1. Wash by hand with a damp cloth and gently blot the areas that require cleaning. 2. Air dry. 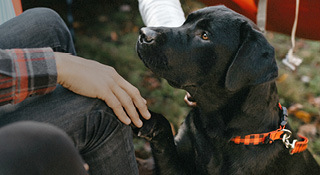 Do not place leather products in the dryer or near any heat source. This can cause the leather to become brittle or crack. 3. 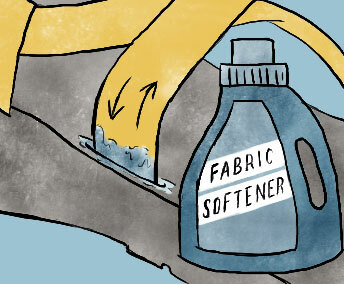 If more thorough results are required, a specialized leather cleaner or conditioner can be a great help. Our continuous webbing system features straps that wrap around the foot and through the midsole for a custom fit. 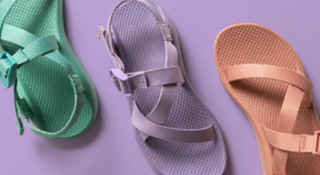 Over the course of wear, grit and sand can get in the channels where the straps enter and exit the midsole, which can create excess odor and cause your straps to stick. To clear these channels we recommend “flossing” your straps with these steps. 1. Wet down the straps. 2. Squirt fabric softener into the slot for each strap. 3. Pull the straps back and forth through their channels to clear any excess debris. 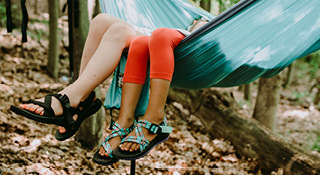 Many Chaco products feature antimicrobial treatment for odor protection. For those that don’t, a good old-fashioned cleaning may be in order. 1. 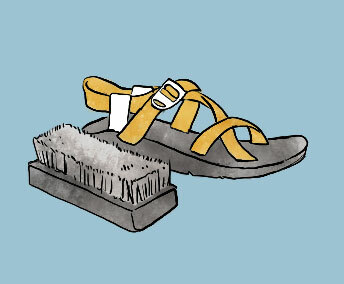 Scrub the footbed of your sandals with baking soda and water using a firm-bristled brush. 3. 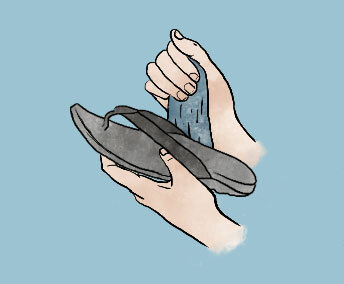 If more thorough methods are required, a specialized sandal wash (like Nikwax Sandal Wash) will do the trick. Home remedies not cutting it? 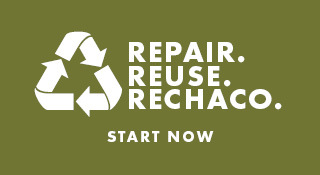 Our ReChaco repair specialists are here to assist.